The Chiefs have been nearly unstoppable this year and the Cardinals have been one of the worst teams in football, so it wasn’t a total surprise this week when Arizona opened as the biggest underdog of the 2018 season. When the early odds were released on Sunday, the Chiefs opened as a 17-point favorite. Although that number has since dropped down to 16.5 points at most sports books, it’s still a huge point spread. As a matter of fact, if the game closes with the Chiefs as a 16.5-point favorite, it will be tied with a Bills-Vikings game from Week 3 as the largest point spread of the season. 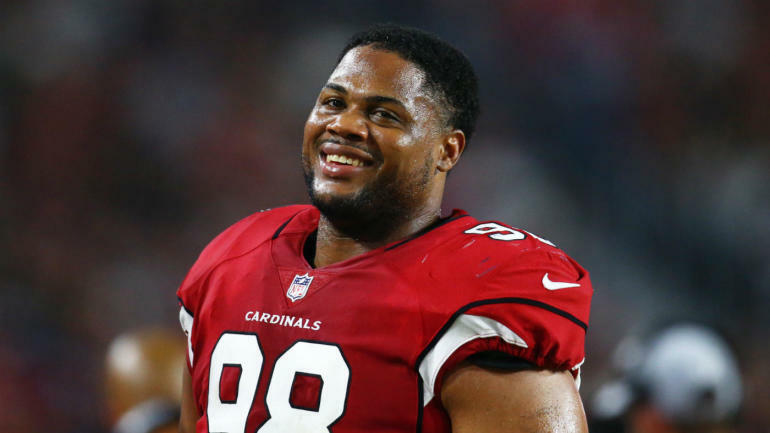 Although everyone has pretty much written off the Cardinals in this game, defensive tackle Corey Peters doesn’t seem to care what anyone else thinks about the game. When Peters was told that the Chiefs favored by 17 points, he did something that NFL players almost never do: He revealed who he would bet on. “But the Cardinals, plus 17? I’m taking that all day, man,” Peters said. ALL DAY. I’m not sure is blind optimism or if it means the Cardinals are a lock. Of course, this doesn’t mean Peters is betting on the game, it just means he’s pretty confident that the Cardinals aren’t going to get blown out by a Chiefs team that’s averaging 36.3 points per game, a number that leads the NFL. Winning a game as a 16.5-point underdog isn’t impossible and we know that, because it already happened this season. In that previously mentioned Bills-Vikings game from Week 3, Buffalo went into Minnesota as a 16.5-point underdog and pounded the Vikings 27-6. It marked the first time since 1995 that a team had won as an underdog of 16 or more points. If you’re feeling risky this week, you could bet the Cardinals moneyline, which has reached as high as +1075 at some online sports books. Basically, if you bet $100 on the Cardinals to win at the number and they pulled off the upset, you’d take home $1,075 in winnings. Finally, just because the Cardinals are a huge underdog doesn’t mean that everyone picking against them. CBS Sports NFL Insider Jason La Canfora is picking Arizona to win the game outright. As for the monstrous 16.5-point spread, four of our eight NFL writers agree with Peters that Arizona will cover. You can check out our picks for every game in Week 10 by clicking here.